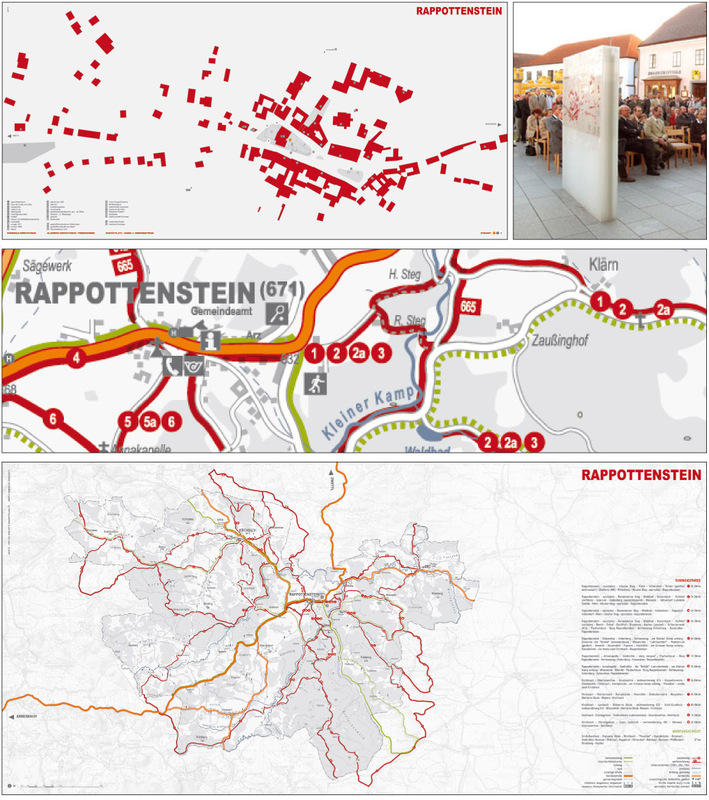 Ortrun Lanzer designed the new town centre of Rappottenstein, a small town in Austria. We designed the 2 map for a light box that was planned as part of the project – showing the centre of the village and the environment. The colous font and icons where modified from an existing enviromental map. The town/information map was done from scratch.